Please email pantherpartners.accts@gmail.com with any registration issues or questions. 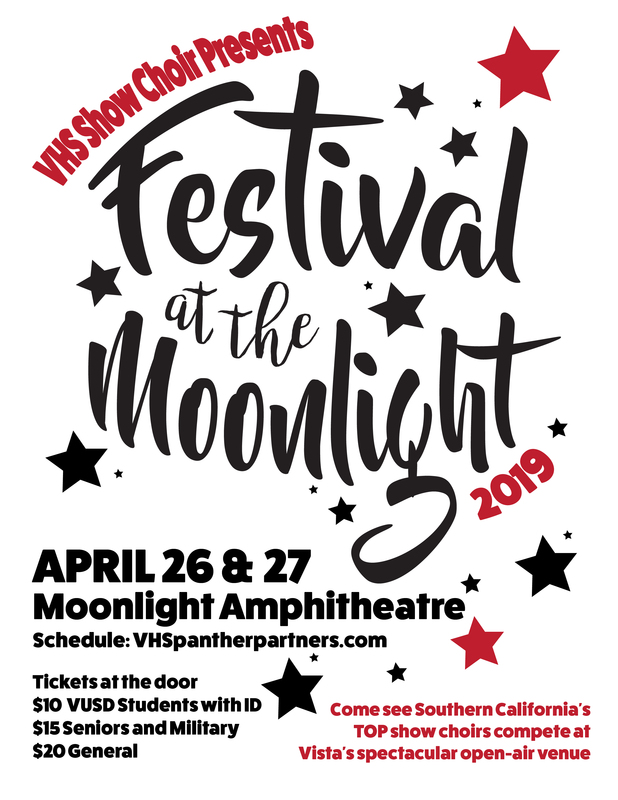 Please save the April dates of Friday (4/26) and Saturday (4/27) 2019 for the third annual Festival at the Moonlight. Once again we will take advantage of this beautiful professional venue to showcase our wonderful show choir ensembles. There will be competitive divisions for Middle School and High School (mixed and women’s), plus the addition of concert choir performances and a solo competition. This event offers a celebratory, festive atmosphere with unlimited seating for performers and spectators alike, allowing all levels and ages the opportunity to experience each other’s artistic endeavors. It’s a wonderful way to close out the season! We hope you can join us for great food, great performances, and great memories with good friends. Registration information will be available in the Fall of 2018.